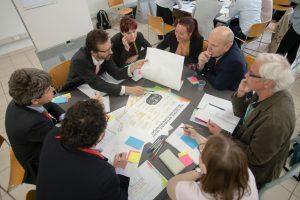 After analysing the citizens’ visions and extracting underlying overarching social needs, CIMULACT set up a scenario co-creation workshop involving citizens, scientists and experts to connect the citizens’ visions of desirable sustainable futures with future expected advances in science and technology. Jointly the citizens and scientists co-created scenarios and storylines outlining possible research programmes for realising the visions and addressing the underlying social needs and assess them in a participatory multi-criteria analysis. An exhibition presented the condensed social needs in a visual way and created interaction opportunities with participants of the co-creation process across cultural, professional and disciplinary contexts. As the scenarios emerged from the citizens visions who take a holistic view of their daily life, they will reach across established disciplines, sectors and funding domains. 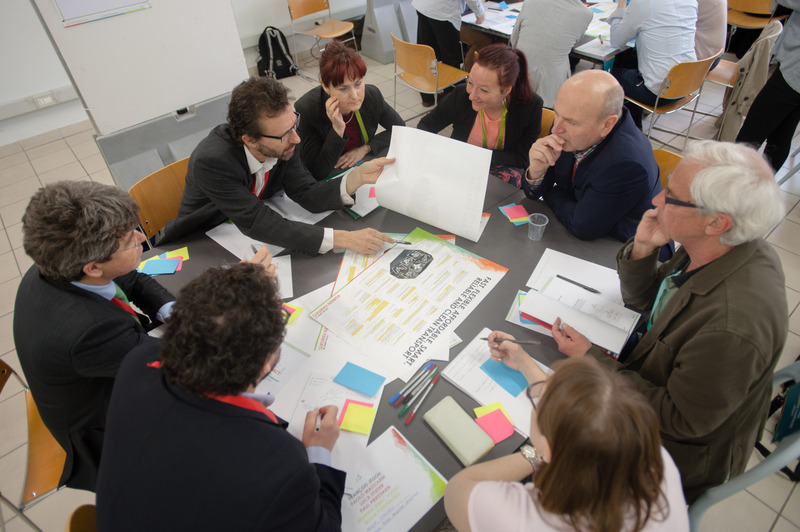 At the same time as the visions described sustainable futures, the scenarios will closely relate to the challenges in the Horizon2020 programme.